Horse-related accidents and injuries in Illinois are governed under the EALA (Equine Activity Liability Act) statute. Below is a legal brief on the topic prepared by our office in analyzing the liability aspect of a possible case. The analysis may be helpful in appreciating the scope of this law to your case. In 1996 the Illinois legislature enacted “The Equine Activity Liability Act” (EALA). The EALA is in derogation of common law because damages for equine-related injuries had previously been recoverable under negligence theory, and thus, to extent that EALA precludes recovery under negligence law, it must be strictly construed in favor of plaintiff. S.H.A. 745 ILCS 47/5; Smith v. Lane, 295 Ill. Dec. 497, 832 N.E.2d 947 (App. Ct. 5th Dist. 2005). In its statement of purpose, the legislature stated there are dangers involved in equine activity, but it is economically important and should be encouraged. 745 Ill. Comp. Stat. Ann. 47/5 (West 1998). This law is intended to do so “by delineating the responsibilities of those involved in equine activities.” Id. As defined under the EALA, equine activity includes riding and a full range of activities involving horses and other equine species. This act applies to those who provide horses to others and states that all participants should recognize that any activity involving equines is hazardous. 745 Ill. Comp. Stat. Ann. 47/15 (West 1998). Therefore, “each participant who engages in equine activity expressly assumes the risk of and legal responsibility for loss, injury, or damage to the participant or the participant’s property ….” Id. 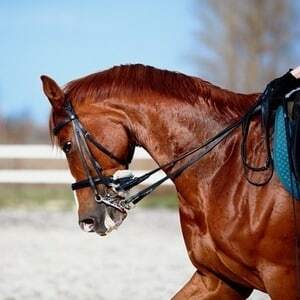 For example, riding stable owners, are protected by this statement as a matter of law because the participants assume the risk involved in the equine activity. However, there are some exceptions which create liability against riding stable owners and others who have custody of horses. Some of these exceptions include: (1) when an injury is caused by the use of faulty equipment or tack; (2) when the person who provided the equine “failed to make reasonable and prudent efforts to determine the ability of the participant to engage safely in the equine activity and determine the ability of the participant to manage safely the particular equine based on the participant’s representations of his or her ability” and; (3) a willful and wanton disregard for the safety of the participant. 745 Ill. Comp. Stat. Ann. 47/20 (West 1998). There is not a lot of Illinois case law regarding claims brought under the EALA; however it seems Illinois courts are not in favor of claims against defendant horse owners because “the very purpose of the Act is to encourage equine activities by protecting equine activity sponsors from excess liability due to horse-related injuries. The legislature recognized the hazardous and unpredictable nature of riding and showing horses and sought to shift the risk from sponsors to participants except for intentional or reckless behavior.” Lessman v. Rhodes, 721 N.E.2d 178, 181 (Ill. App. 4th Dist. 1999). The few Illinois cases interpreting EALA have found that the Act precludes negligence actions unless the parties fall outside the parameters of Act. See Kush v. Wentworth, 339 Ill.App.3d 157 (2003) (EALA did not preclude negligence liability for owner of a horse that kicked another rider during a group ride because owner was not an equine activity sponsor or equine professional); Smith v. Lane, 358 Ill.App.3d 1126 (2005)(negligence and strict liability claims of a passenger in a horse drawn carriage were not precluded by EALA because passenger was not engaged in an equine activity by riding in a carriage). Under the facts of the present case, it seems the EALA would preclude negligence actions because the parties fall within the parameters of the EALA. 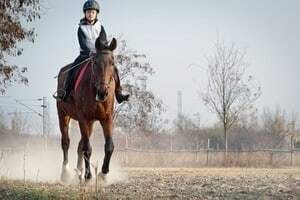 The plaintiff, riding a horse at a lesson at a riding center, was engaged in an equine activity and the defendants, the instructor and the provider of the horse, the stable, were equine activity sponsors or equine professionals. Thus, the Plaintiff’s negligence claims are barred by EALA. The Plaintiff could allege she falls within one of the exceptions to the EALA, such as wilful and wanton disregard or that the equine professionals “failed to make reasonable and prudent efforts to determine the ability of the participant to engage safely in the equine activity”, which would permit liability under EALA. Lessman v. Rhodes, 308 Ill.App.3d 854 (1999). A willful or wanton act is defined as one which is intentional or committed under circumstances exhibiting a reckless disregard or indifference for the safety of others. Oelze v. Score Sports Venture, LLC, 401 Ill.App.3d 110 (2010). 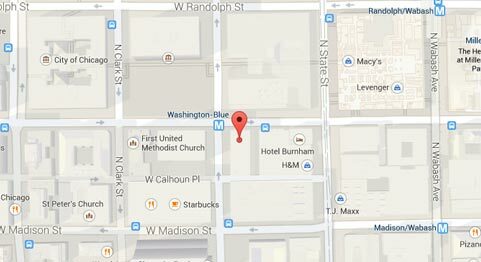 However, there is not much case law regarding how Illinois courts interpret and apply these exceptions. In Lessman v. Rhodes, a participant in a horse show, who was injured when stallion bucked, brought action against show’s sponsor, and stallion’s rider and owner, alleging negligent and willful and wanton conduct. The defendants claimed they followed standard procedures in running and organizing the horse show and did not have a duty to check horse backgrounds or show stallions separately. The Illinois Appellate Court, Fourth District held that horse show sponsor did not engage in willful or wanton conduct, for purposes of Equine Activity Liability Act, by failing to conducted background checks into horses, separated or excluded stallions from participating in show, or requiring “kickers” to wear ribbons on their tails. This is an unpublished case, however, in Saporta v. Plainfield Tp. Park Dist., the plaintiff, was injured after falling off a horse during a riding lesson at a riding center. The plaintiff was a 73–year–old experienced rider, with more than 20 years of riding experience and signed a general release that expressly explained the EALA and used the language of the EALA. The Illinois Appellate Court, Third District held that there was no indication of wilful and wanton misconduct, and no basis for applying the EALA exception. Saporta v. Plainfield Tp. Park Dist., 2012 IL App (3d) 110278-U. The facts of the present case can be distinguished from both Lessman and Saporta.